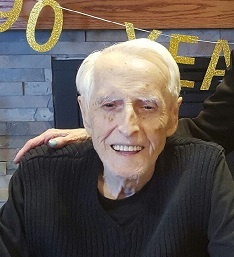 Dr. Robert E. Hale, 90, Huntington, IN, passed away on Wednesday, March 27, 2019, at Miller’s Merry Manor, Huntington, IN. Dr. Hale was born on January 4, 1929, in North Vernon, IN, to Harold and Olive (Vanbriggle) Hale. Bob married Doris Jean Judy in 1953, and they enjoyed 65 years of marriage. His wife survives. Dr. Hale served in the United States Air Force as a meteorologist from 1952 until 1956. He remained in the Air Force reserve, serving as the Air Force Academy liaison officer until 1977. He retired from the Air Force with the rank of Major. Bob began his teaching career and joined the Huntington University faculty in 1961. 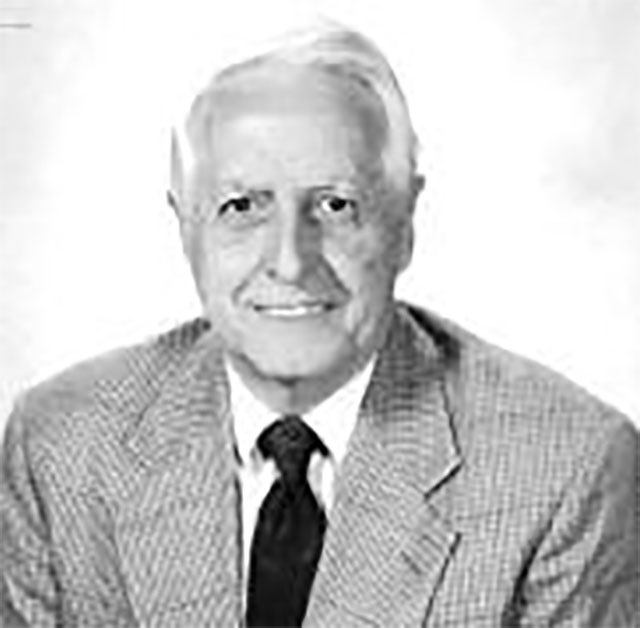 Bob served as a professor of physics and mathematics. He completed his EdD from Ball State University, his MA from Western Michigan University and his BS from Ball State University. He received an honorary doctorate from Huntington University and was honored by his many grateful students who voted him Professor of the Year in 1973 and 1987. He was also a member of Central Christian Church. Along with his wife of 65 years, Doris, he is survived by four daughters, Linda Urschel, Sharon Griner, both of Huntington, IN, Nanette (Mark) Urschel, Shelbyville, KY, Jane (Mike Harris) Varney, Greenbriar, TN; one sister, Mary “Eby” (Bill) McKinney, Kendallville, IN; 6 grandchildren, and 7 great grandchildren. Along with his parents he was preceded in death by one daughter, Carolyn Marie Hale; one sister, Margaret Ellen VanCleave; two sons-in-law, Jim Varney, Michael Urschel; two infant grandchildren, Ian Hale Griner and Baby Urschel. Calling hours will be held on Sunday, March 31, 2019, from 3:00 p.m. to 7:00 p.m. at McElhaney-Hart Funeral Home, 715 N. Jefferson St., Huntington, IN. Additional calling hours will be held on Monday, April 1, prior to the service from 9:00 a.m. to 10:00 a.m. at the funeral home. Funeral Services will be held on Monday, April 1, 2019, at 10:00 a.m. at McElhaney-Hart Funeral Home with Dr. Chaney Bergdall officiating. In lieu of flowers, please honor Dr. Robert Hale with a donation to Huntington University in care of McElhaney- Hart Funeral Home, 715 N. Jefferson St., Huntington, IN 46750.